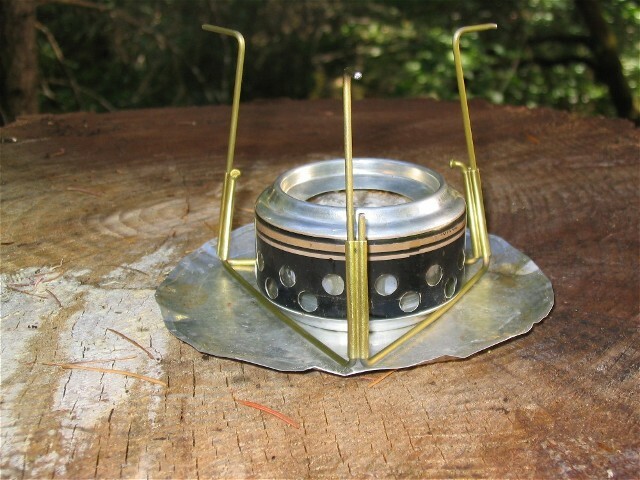 The soda can stove is an ultralight backpacker classic. 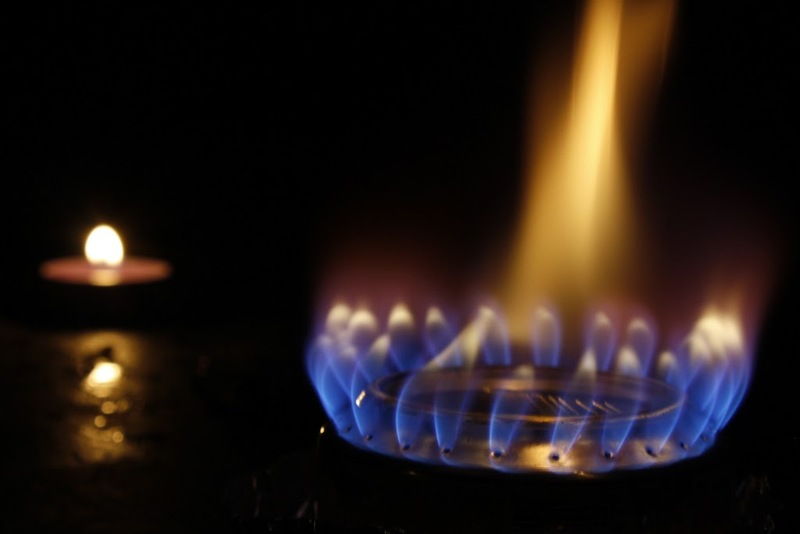 While there are many designs online, the “Hannah Stove” is the minimal-est in terms of construction. While Pepsi seems to be the fizzy drink of choice, I made my first stove after a night of consuming adult beverages. Alternatively, ditch the spoke stand and complete your stove setup with a Caldera Cone, a combination pot stand and windscreen made from a piece of aluminum flashing. And after building a couple working stoves, why not anodize it? I made one of these a couple weeks ago. Pretty nifty. My friend Ginger Jui, Hi! A close friend of mine and I hastily built one of these in my garage a few years ago. It worked quite well but, perhaps it was just our design, seemed to consume fuel at an alarming rate. How did you find yours? Do you think making smaller perforations might be the key? – I thought it might be because some of the fuel evaporated without fully burning. 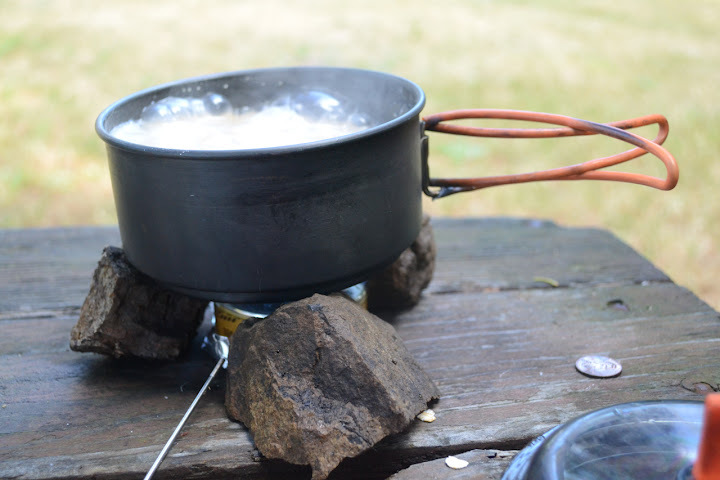 I really like the stones idea – that, coupled with the burner means you can make a stove without any prior planning/shopping time – again, excellent for the late arrival to your microadventure.